Japanese people love green tea, and in Japan you can find a variety of tea leaves and green tea bottled beverages. Green tea is very integral in our daily lives (^^). We also have many products (not just food) made with used tea leaves. Today, I would like to introduce one of them. Matches made with green tea leaves. 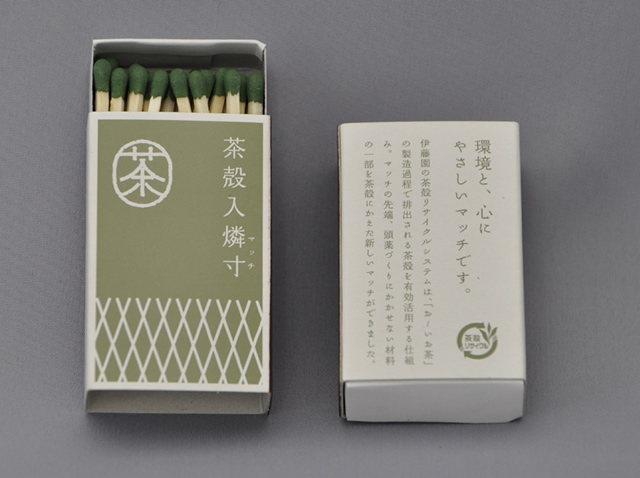 These matches don’t smell of sulfur after burning, because powdered green tea leaves are used for the head part instead of sulfur. This product was developed jointly by a match manufacturer and a green tea beverage maker. A lot of tea leaves used at the beverage factories are simply discarded everyday. So, this green tea match helps to reduce waste. 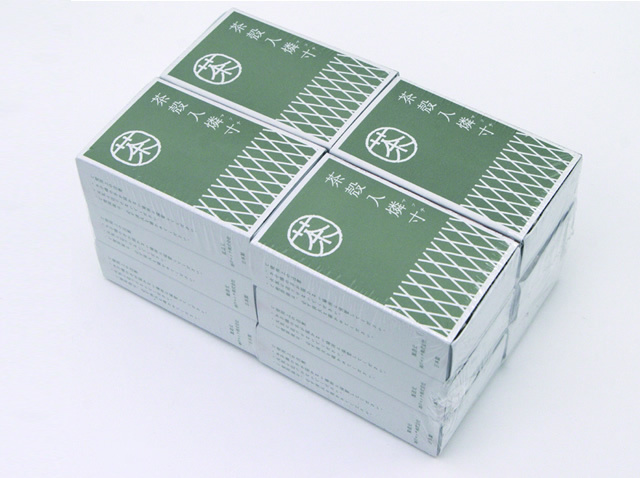 This green tea match series also comes in a “deodorizing version”. Each wooden stick is saturated with tea leaf extract. When you light a cigarette with this particular deodorizing version and then just sit it by the lit cigarette or ashtray, it helps eliminate odors. Kind of amazing, isn’t it? Chic package design reminds me of shop curtains found in traditional tea shops. Look like they would make perfect souvenirs from Japan (^^).